Never have Americans faced a foreign policy challenge as complex as the one China now poses. For the first time since we became a world power, we face a rival with a far greater population and, soon, a bigger economy. China has a deep history, a martial tradition, and a growing military. It is not our enemy, but over the coming years and decades, its strategic ambitions will inevitably clash with ours. That clash will shape the 21st century. The delicacy of the US-China relationship was clearly on view after President-elect Donald Trump’s recent telephone conversation with the president of Taiwan, Tsai Ing-wen. The call showed a level of intimacy with Taiwan that violated unwritten protocol. 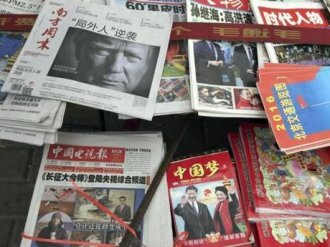 Trump may have been signaling a change in US policy toward China. Perhaps he only wanted to defy the odd diplomatic fiction that independent Taiwan does not exist. Or it was simply a gaffe resulting from ignorance. Whatever the explanation, the episode showed how fully this relationship is now shaped by strategic competition. Big-power politics has returned to the world’s center stage. China and the United States face looming conflict on a host of issues. With wise diplomacy, many of these differences can be managed. More difficult is the psychological challenge that China’s rise poses to Americans. Nothing in our modern history or national psyche prepares us for anything but global dominance. Yet China’s share of world power is likely to continue growing while ours declines. Constraints on Chinese action are weakening. Trouble lies ahead if we cannot navigate creatively through these utterly unfamiliar psychic and geopolitical waters. According to American strategic doctrine, the United States will be in danger if one country comes to dominate a large region of the world. China seems capable of doing that one day. Both our doctrine and our habit of command tell us we must limit its rise. That is a recipe for confrontation.